Barcelona and Madrid have been wowing expats for as long as people can remember, but recent years have been dominated by a new kid on the block. Nestled on the stretching east coast and famed for its eternal sun, Valencia promises a laid-back city vibe that is nothing short of stunning. When we moved here last year, spring was already in full swing. Fresh fruit was available on every street corner, bocadillos were our regular lunch time snack, and we quickly realised that there was something sparkling about Valencia. Slow afternoons and a thriving community of people from all over the world were the least of it. It soon became clear that wild nights out and lazy beach trips gave Valencia a rose-tinted quality that people only dream of. But there are the highs, and then there’s the more practical side of things. If your heart is set on moving to Valencia, there are a few things you need to know before you arrive. Work is always a tricky subject in Spain. With one of the highest unemployment rates in Europe, finding a job can be a struggle. Thankfully, working freelance meant I never had to worry about this, but there are other options. Everywhere you go in Europe, you’ll find English teachers and freelancers making up the bulk of the expat community. It’s a similar story in Valencia, where co-working spaces and hip cafes provide the perfect setting for remote workers, and English teacher vacancies are always opening. These roles are ideal if you don’t know enough Spanish yet to be working with local people, and teaching offers a social aspect that no other job does. If you’re concerned that remote work will leave you feeling isolated and lonely, there’s no need to worry, as freelancer Facebook groups like Coffees & Co-Working promise weekly meet ups and friendly faces. If you’d like to try something a little different, jobs in real estate and sales attract expats from all over. You may need to learn more Spanish for these roles, but they can give you a good wage, enviably long lunch breaks and career progression if you’re hoping to stay in Valencia for the long term. The eternal question for expats and new arrivals to a city is figuring out where to live, and Valencia is no exception. There are a number of good options here, but finding yourself even a little bit far from the city means you won’t be getting as much out of Valencia as you hope. Rent prices are getting higher as more and more people move to the area, but you can still expect to be rents to be a fraction of the price you would in the UK. Lots of expats choose to live a small way out of town – we lived in Benimaclet, a former village just north of the Jardín del Turia. Despite feeling out of the loop sometimes, cheaper rent and excellent transport links help immeasurably. Arguably the biggest draw is the ability to jump on the metro and be at the beach in 20 minutes, but we did miss being closer to the action. Those searching for an international feel often find themselves in the hub of Ruzafa or its neighbouring district of Gran Vía. Despite being one of the more gentrified areas to live in, the abundance of galleries, cafes and other expats gives it an undeniable pull. If you’d like to surround yourself with cobbled streets and sun-drenched balconies, head to El Carmen. This is the old town district of Valencia, and you can expect to see traditional cafes, vintage shops and historical features lining the streets. 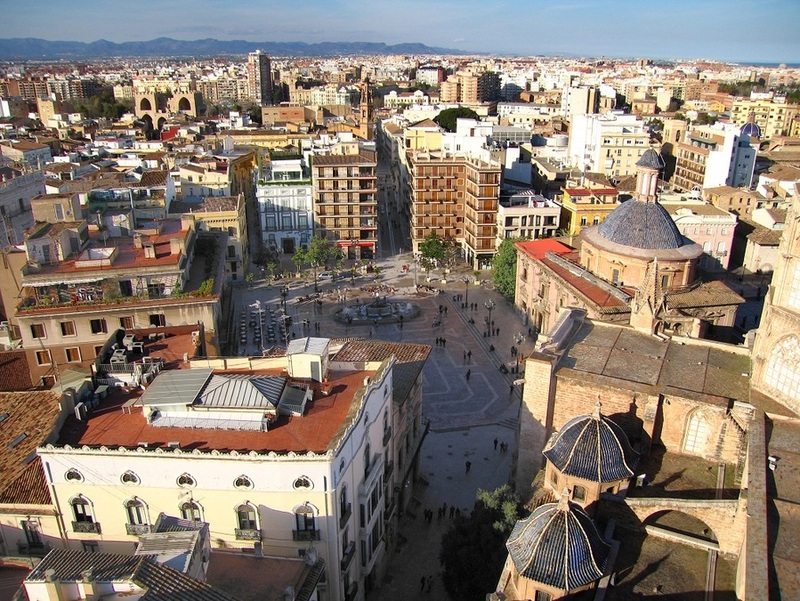 In Valencia, two forms of Spanish are spoken: Valenciano and Castilian. Most locals grow up learning both, but learning Castilian may be a better option if you want to explore the rest of Spain while living here. That’s because 99% of Spanish people know Castilian as either their first or second language, whereas Valenciano is spoken by only 19% and only along the east coast. Not to mention how many other countries use Castilian as their first language. Learning Spanish is something I struggled with, as I never had the confidence to go for it. This meant my Spanish skills never really progressed, as drinks orders and small talk will only get you so far. Looking back, it is always best to give it your best shot – even if you’re nervous. Valencian locals are incredibly helpful, and they won’t hesitate to encourage you. Private lessons and group classes are widely available, but there is no denying that weekly language exchanges are the most fun. Before long, you’ll be accessing a whole new side of Valencia you never knew existed. Valencia is one of the largest cities in Spain, but it captures a small-town feel in its cosmopolitan streets. This means it is very easy to get from one end to the other. Most people stick to the metro, which covers the inner-city area and beyond. Spanning both underground lines and overground trams, it’s easy to get the hang of in the space of a few days. Even so, it is always helpful to have a map of the system saved on your phone. The metro system is split into nine lines, all represented by different colours. Lines 3 and 5 will get you just about anywhere in the city, including the airport, with various interchange stations for other major lines. If you’re a beach buff, however, you might find yourself using tramline 4 more often than most. The price of a single ticket in Zone A is only €1.50, with a return setting you back €2.90. A cost-effective way around the city is the Bonometro card, which holds ten journeys for the tiny price of €7.90. 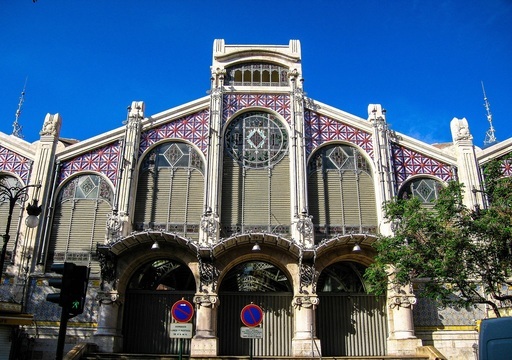 While the metro scores points for convenience, you can walk everywhere in Valencia. With no hills and perpetual sun, you’ll find yourself doing this more than you think. Avid cyclists will also delight in knowing that Valencia is a bike-friendly city, with cheap bike rental and infinite cycle lanes. 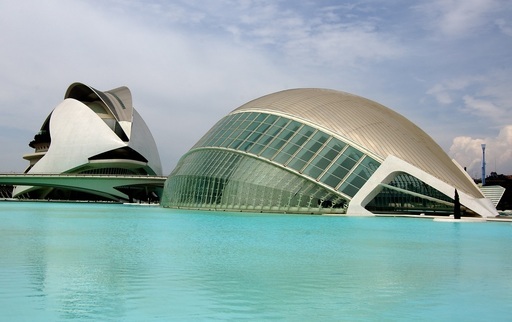 A quick look at the list of things to do in Valencia will leave your mind reeling. 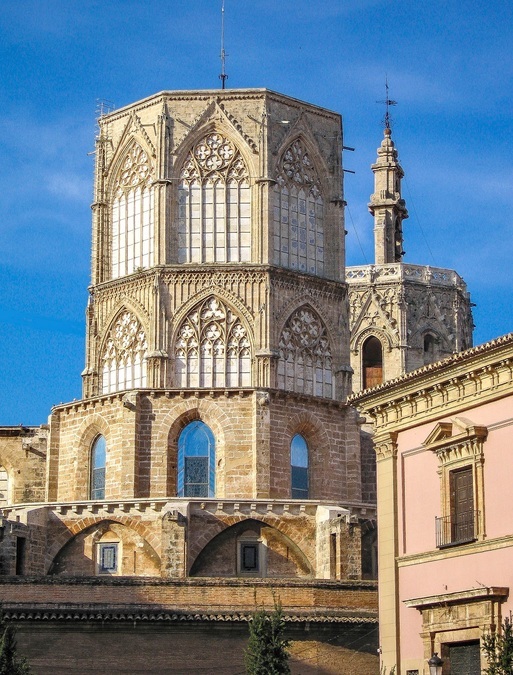 When we arrived, we were still in the tourist mindset for a good month, squeezing in visits to hotspots like the Valencia Cathedral and the Torres de Quart. Along with L’Oceanogràfic and the City of Arts and Sciences, these spots are must-sees, but you’ll find more layers to Valencia the longer you spend here. You’ll learn pretty quickly that sunny daytimes are best spent at the beach. The city beach – Malvarrosa – is usually crammed with tourists, so make your way south to El Saler for serene shores and pristine sand. One thing you'll spend a lot doing is sampling some of the local dishes. As the birthplace of paella, there’s nothing better than spending an afternoon sipping on warm wine and delving into this signature dish. Oh, and then there are the tapas, which are served in every bar in Valencia. Garlic butter mushrooms and chorizo are personal favourites, and some places even bring out free dishes with your drinks. Often referred to as the River Turia, this blooming city park stretches around the northern edge of the city, snaking round to the distinctive City of Arts and Sciences building. Throughout the day, yoga and fitness classes are held on the plush grass, and avid runners can be seen weaving through the throng of locals. It isn’t always so peaceful – but only in the best way. Throughout the year, food festivals, marathons and fairground activities add a welcome buzz. Every year, the July Fair lights up the park for the entire month, with a ferris wheel and various other fairground rides. In 2018, the Mostra de Vinos showcased fine wines and exquisite cuisine, but dates for this year have not yet been released. Arguably the most exciting time, though, is when the opening fireworks for Fallas are set off at the end of February every year. 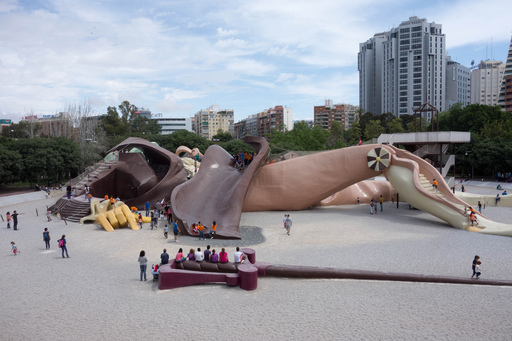 One thing you cannot ignore is the surreal Parque Gulliver, which stops even Valencia veterans in their tracks. Named after the protagonist of the classic tale Gulliver’s Travels, the park is formed by a twisting, giant statue of Gulliver. It is equal parts scary and mesmerising, and you’ll come to find that it’s not just kids who are taken in by this unique monument. Local rosé and sangria are what spring to mind when people think of Spain, but there is far more to the night-time scene in Valencia than lively bars. When I think of my time here, the bubbling social aspects of this city were always what made it special for me. From daytime drinking in the sienna-tinted streets of El Carmen to clubbing until the early hours, there is something here for everyone. What makes Valencia truly memorable are the sheer amount of festivals organised across the city. Every weekend, something is happening in the streets, where music blares and people gather to dance away their worries until the sun comes up. Perhaps the most notable is Fallas, which happens for up to 20 days in February and March every year. Fireworks, worldwide music acts and delectable cuisine mean the whole city comes out to celebrate in true style. If you want to escape the balmy air, the Radio City bar play everything from eighties classics to jazz every night, and La3 give you the best of underground electronic music and sunrise sea views. One of the first things you’ll notice after arriving in Valencia is how much it celebrates the LGBTQ+ community. Rainbow flags swing from apartment windows, colourful murals are painted on the walls and couples walk hand-in-hand in the streets without anyone batting an eyelid. And if you think Manchester Pride is big, you can think again. Every year in June, Valencia Gay Pride envelops the city with kaleidoscope parades and street concerts. When we were there, we saw an Amy Winehouse drag act who had the whole crowd singing along, and even the smallest of side streets had a DJ deck blasting tunes. The parties go on all night, but this incredible atmosphere can also be enjoyed in various bars and clubs every day.